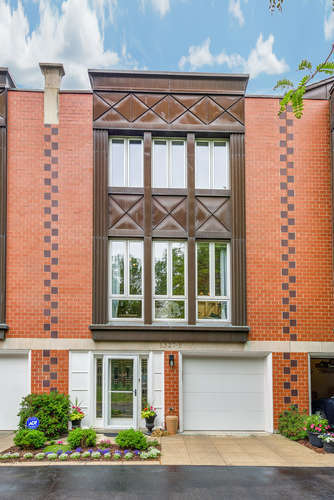 Located in South Loop Elementary School District in a GATED community, a beautiful tree lined courtyard leads you to this huge, close to everything 3 level Townhome. A large foyer greets you as you enter. The lower level also features a guest suite with an en-suite bathroom. Walk up to the main level and there you’ll find the kitchen area that has great flow for ease in preparing your meals while your guests enjoy sitting at the large island. Granite counters, stainless steel appliances and a separate eating area and/or a family room. The large living room/dining area with floor to ceiling windows is a great place for gathering, entertaining or enjoying a movie at home. On the 2nd level you’ll appreciate the size of the master suite that features tons of closet space. 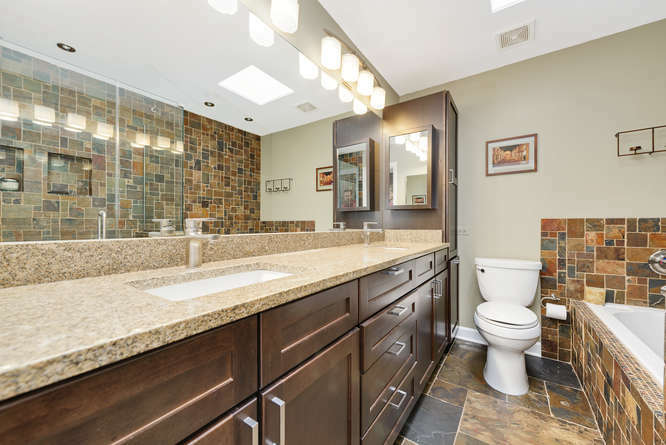 A huge master bathroom is highlighted by double sinks and a separate walk in shower. 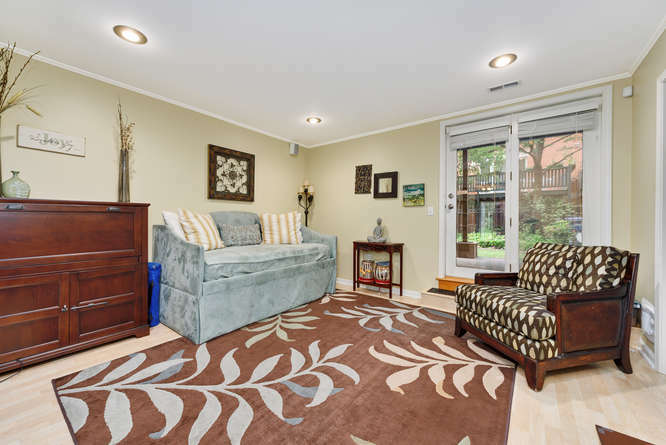 Hardwood floors throughout give this unit a very contemporary, updated feeling. 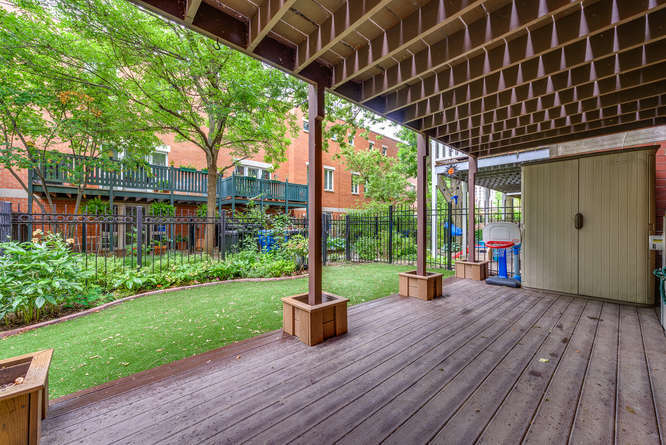 Where else will you find two outdoor spaces, 3 bedrooms plus a den and 2 parking spaces in a very walkable neighborhood at this price? 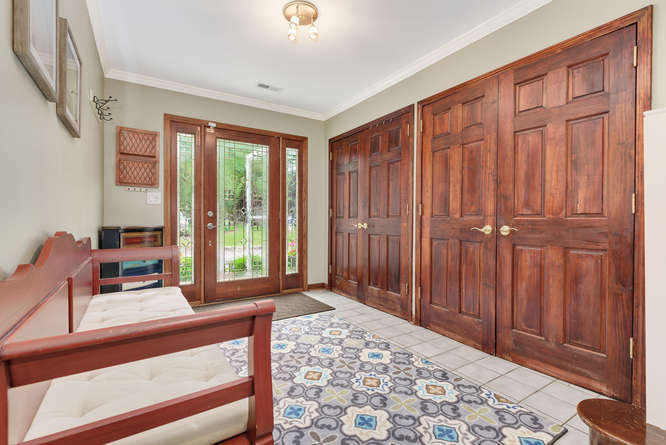 Upon entering, one is welcomed into a very large foyer with tons of closet space. Currently being used as a den but could easily be used as a private guest suite. 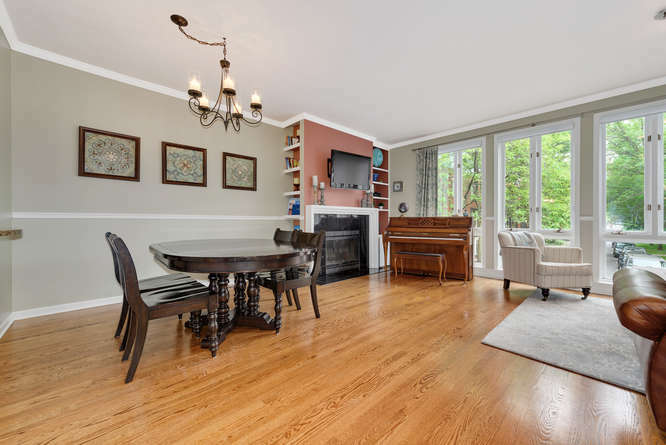 Full bath attached with a great walk out to the private lower level patio. Walk out of your den onto this private patio area. Artificial grass makes it maintenance free. Full bathroom conveniently located next to the den. Neutral tiles will make it easy for you to decorate as you like. 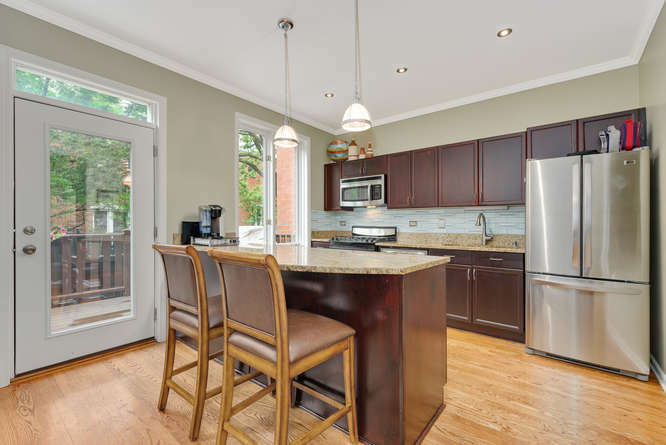 Updated kitchen with dark cherry cabinetry, granite counters, stainless steel appliances, hardwood floors and an island. 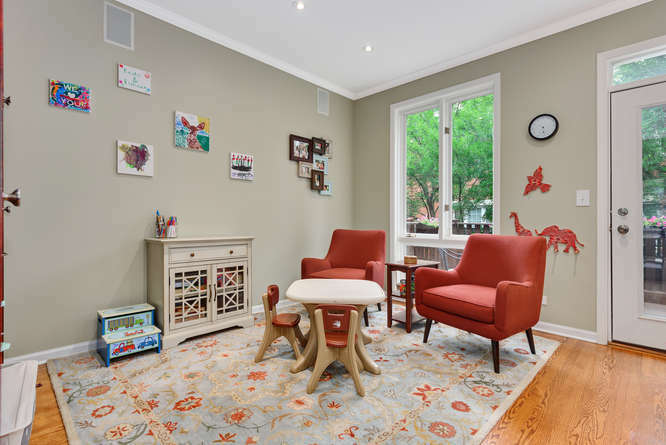 Family room adjacent to the kitchen area. 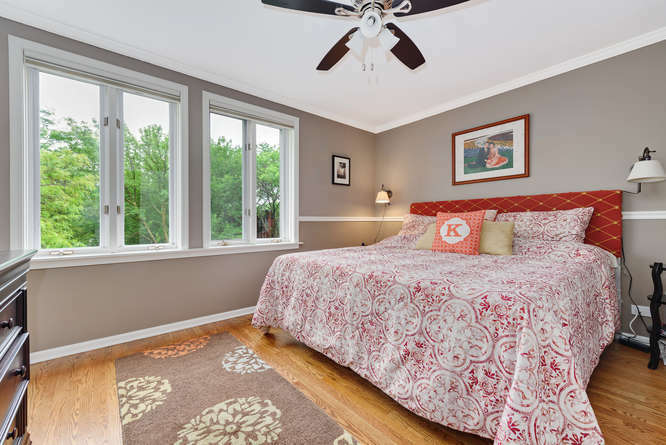 Features large windows for tons of sunlight and a windowed door that leads to your 2nd outdoor space. 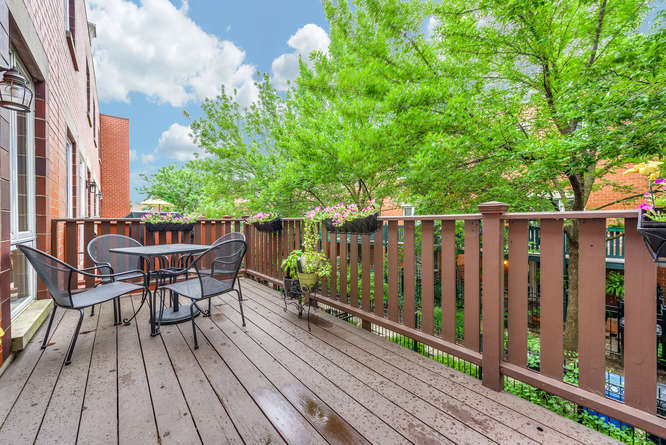 Enjoy your large deck located right outside of your kitchen/family room. Grill and dine in this great outdoor space. Look at this large open area. The large floor to ceiling windows in the living area flood the sunlight throughout the main level. Who wouldn’t enjoy having their holiday meals in this room? 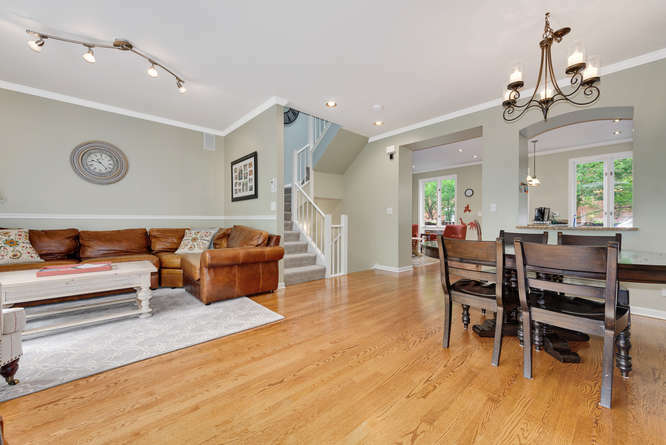 Hardwood floors throughout give this area a contemporary feel. Large floor to ceiling windows allow tons of sunlight to stream in. Enjoy a cozy evening by the fireplace on a cold winter’s night or open the beautiful windows for a cool breeze on a summer’s night. Nice size master suite with room for a king size bed. The sunlight comes streaming in the large windows and gives the room a light and bright feeling. 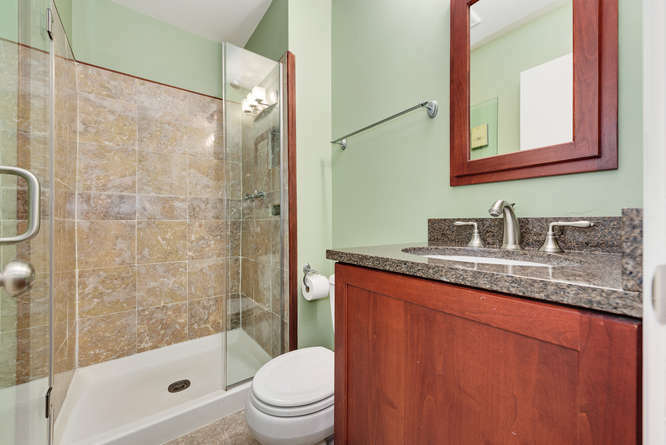 Step into the large master bathroom and you’ll find a separate walk in shower and double sinks. 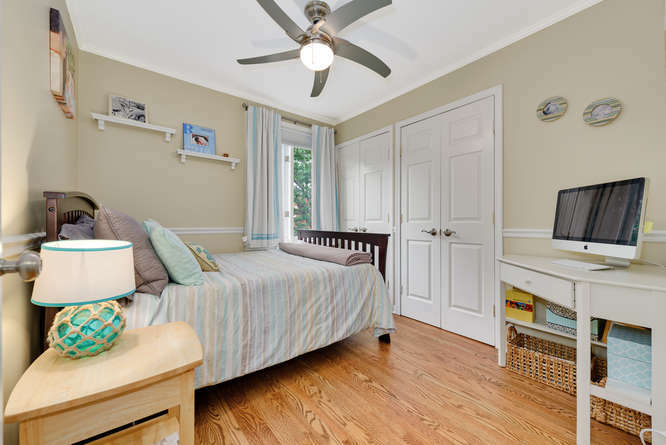 Hardwood floors and a large walk-in closet is featured in this room along with large windows for tons of sunlight. 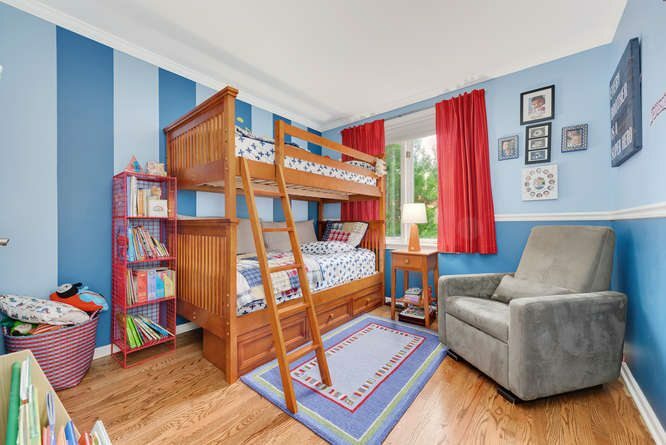 Hardwood floors and large wall closets give provides you with tons of storage.